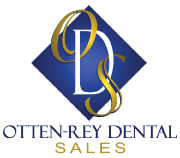 Otten-Rey Dental Sales has sold over 250 dental practices in the St. Louis Metropolitan area since its inception. They have valued nearly 125 practices in the last five years alone. We provide guidance and recommendations for those dentists who are preparing to purchase or sell a practice. We offer an individualized approach to each of our clients by making sure every valuation reflects the unique qualities of each dental practice. We offer transition coaching to help potential clients improve the current curb appeal of their practice. We recommend this for dentists who are 3-5 years away from retirement. Kim’s experience as a Certified Valuation Analyst (CVA) combined with Bill’s background as a Certified Machinery/Equipment Appraiser (CMEA) provides clients with the most accurate valuation possible. With over 50 years of combined experience in the industry, Bill Otten and Kim Rey provide their clients with a friendly, hands-on approach to dental practice transitions, valuations, appraisals and sales, which has established their firm as Mid-America’s most trusted for dental practice valuations and sales. Each of them has provided accounting, tax and related services to members of the dental and medical professions for over 35 years. In the past five years alone, Otten-Rey Dental Sales has valued over 100 dental practices and facilitated over 250 dental practice sales and/or transitions. Together, Mr. Otten and Ms. Rey offer their clients a unique combination of experience and professional qualifications making their firm the only one of its kind in the St. Louis area specializing solely in the valuing and selling of local dental practices. Congratulations on a Successful Transition! Have questions about your dental practice transition? We help dentists put a value on their life’s work.